In many cases, going to visit a dentist at a dental office can be scary and intimidating but when in the care of Dr. Cohen there is no fear because he is unlike the rest. Most dentists can only offer you and your family so much; being limited by lack of experience and knowledge of various techniques. Dr. Cohen is the right dentist for you because he has twenty three years of professional experience and loads of great reviews. Dr. Cohen can provide pediatric dentistry to all of your kids, no matter the condition of their teeth. He has a great personality, providing you with the professional, business side and the caring, loving side that you need while going through each procedure and needed treatment. While you grow older your teeth do too, wearing and tearing down. Whether it be staining, cavities or permanent teeth coming loose, Dr. Cohen can give you the best dental treatment that will ensure the longevity of your teeth. 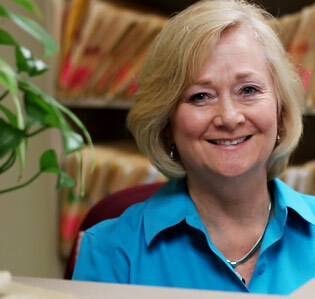 Even if you are in need of tooth replacements, Dr. Cohen can also do that. Dental implants can give you a wonderful smile and a relieve you of pain that your teeth may have been causing you. Teeth implants can be a way to give your smile the extra push that it needs if your teeth are at that point in time. 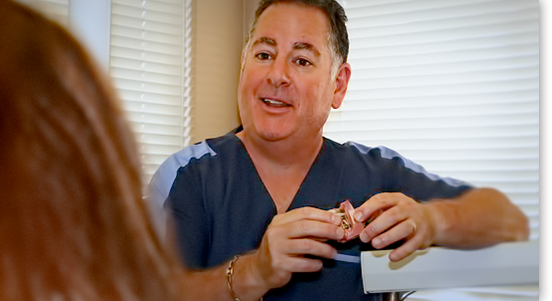 Let Dr. Cohen assist you in the repair of your smile, confidence and happiness. You will have a newfound outlook on life after your smile is at its prime. What kind of treatments or operations can dentist Dr. Cohen do for you? 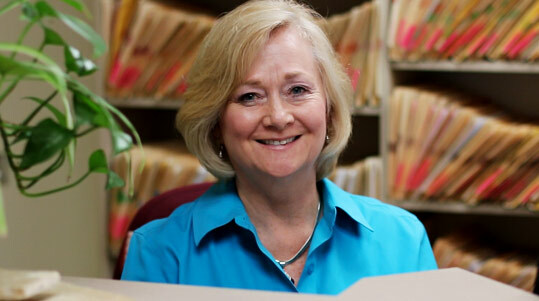 With professionalism in mind, many people need to have an appealing smile. Dr. Cohen can offer you teeth whitening to improve the overall color of your teeth. As many people eat or drink many foods or drinks that can stain teeth, such as coffee, fruits, soda, or even smoking and drinking alcohol. Teeth whitening is an easy and simple procedure which is available to everyone. Dentists all around can offer teeth whitening but Dr. Cohen can adds a personal touch that will leave you with a brand new idea of what “white teeth” mean. 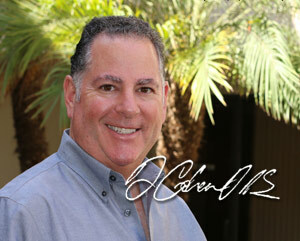 Dr. Cohen graduated from the School Of Dentistry UCLA, he also has a bachelors in Psychology from UCLA. Dr. Cohen also has advanced training in the following fields: Oral Conscious Sedation, Periodontics, and Implant Dentistry. From start to finish you can feel a sense of security, comfort, and satisfaction. While children reach their upper teens to lower twenties, wisdom teeth can start to develop and cause an enormous amount of pain. Wisdom tooth extractions happen all the time and usually require some type of sedation dentistry which Dr. Cohen can provide to you or any friend in need. What kind of Dentist is right for me? Dr. Cohen of course! Depending on what kind of treatment you need can depend on the kind of dentist in Mission Viejo you need. 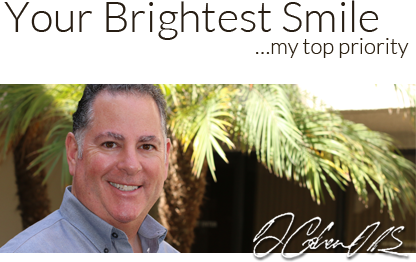 Dr. Cohen is a well rounded dentist who is able to assist you with many problems. Dental treatments can range dramatically depending on the patient, but whatever the case may be Dr. Cohen is always willing to help. His skills are increasing every year which means he is more able to help special cases or just a routine check up. Dr. Cohen is a family and cosmetic dentist which means he is here to help you improve your overall look and wellness of you and your family. Implants, tooth extraction and teeth whitening are just a few of the many things that Dr. Cohen can provide for your dental needs. Dr. Cohen is serious about his work and he wants to ensure the best kind of care for you is provided. Obviously, when a man has been working in the dentistry field for as long as Dr. Cohen has, he loves his job. When a person loves what they do, that love shows in their work. Don’t worry about a thing, Dr. Cohen takes his treatments to a personal but yet professional level, making sure that he has done everything that he can to make sure that you are completely cared for and happy with your dental work. He loves his job so much, he even offers Emergency Dentistry to help you when you are in dire need, even in after hours. It’s not common to come across a great dentist like Dr. Cohen so don’t hesitate to call or schedule an appointment. 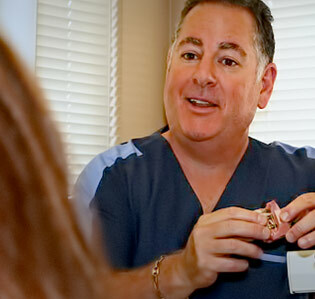 To give you the best dental care possible in an efficient way is what Dr. Cohen strives for. Don’t get the routine procedure that everyone else gets; with Dr. Cohen you get special and customized treatments to make sure that you achieve your dental goals or to relieve any tooth pains as fast as possible. So please, don’t put off another moment; care for yourself and your family with a top of the line dentist, Dr. Cohen. Mission Viejo and Orange County Dentist Dr. Cohen is centrally located in Mission Viejo with easy access to all of South Orange County from Interstate 5.